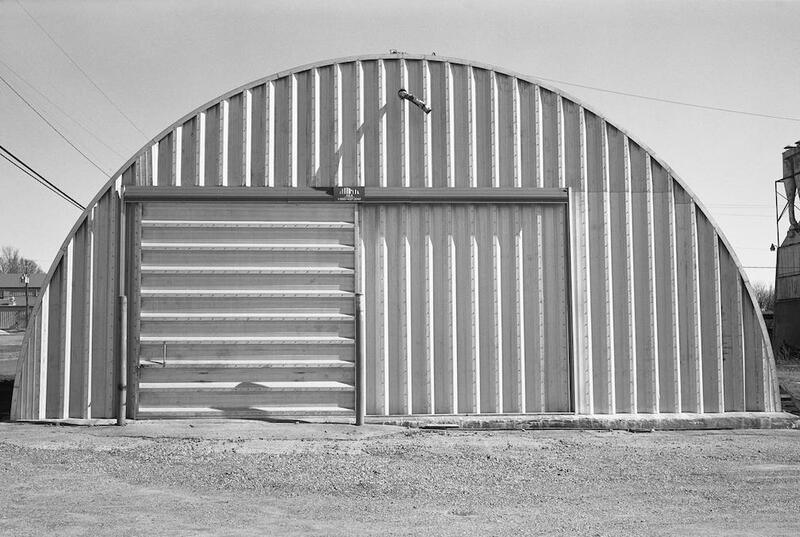 Premanufactured metal building systems came into their own after World War II as a result of increased manufacturing capacity, the need for low-cost and easily portable shelter, increased labor costs, and the invention of the digital computer. The combination of these factors, in Mississippi and elsewhere, helped fuel the development of buildings that are mass-marketed, preengineered, factory-produced, and rapidly installed by an authorized builder, leading to delivery of a durable, finished structure in a relatively short time. Initially used for utilitarian structures such as industrial and agricultural buildings, metal building systems are now used for a wide range of nonresidential, low-rise building types. Churches, schools, commercial buildings, warehouses, recreational buildings, and community facilities are now routinely constructed using premanufactured building systems. The primary reason for the wide use of these buildings is economics. Overall construction and maintenance costs are perceived as lower than for competing construction types. The buildings are conceived as off-the-shelf solutions, are designed in a wide range of sizes and with numerous options, and are marketed through local builders with the knowledge to accurately predict prices and construction schedules. Once on-site, they can be erected with simple, commonly available tools by a relatively unskilled workforce. Vernacular architecture in Mississippi is a product of many of the same forces: a need for economy, making do with materials and resources close at hand, and the desire to modify a structure over time. Though premanufactured buildings are industrially produced, once the pieces arrive at the job site, owners can modify the structures as needs evolve. Many of the premanufactured buildings seen in the Mississippi landscape have been changed, since such low-tech building systems lend themselves to relatively easy modification by nonprofessionals.